Dental abscesses can cause excruciating pain, which is often described as being “worse than the pain of childbirth”. 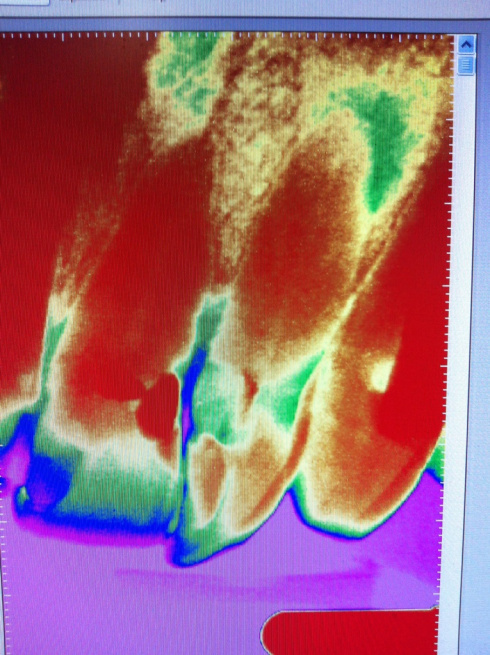 When the dental “nerve” dies, pus builds up pressure inside the jaw bone (green in the pic) and can’t escape, causing explosive pain. This patient had a couple of miserable sleepless nights. When he called me I told him to come in straight away. In 5 minutes I drilled a hole in the back of the tooth to allow the pressure to drain, and the pain was alleviated immediately. He came in today for the final root filling and was very greatful.